Profibus is a common type of industrial communication network. 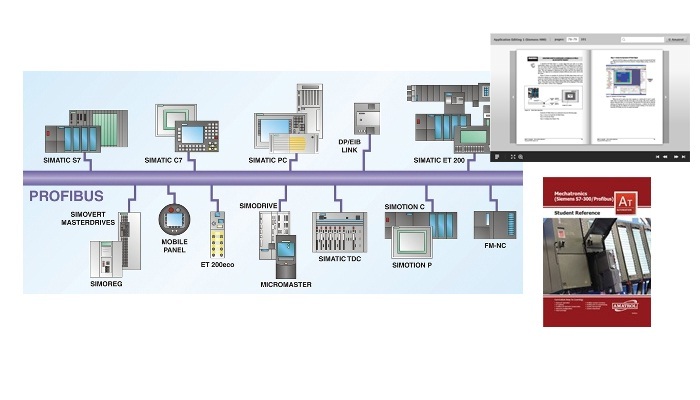 The Mechatronics Profibus, Siemens S7 teaches learners how to communicate between two mechatronics stations using Siemens S7314 processors and one PC. It is important for technicians to understand industrial communications networks and their operation to be able to install and troubleshoot the networks properly.